We have talked about Volga river that lays in Russia before. Right now, we will talk about another river that also lays in Russia, which is Don river. Although it is not the largest river in Europe, people consider Don river as one of the greatest. It is one of major rivers in Russia and the fifth longest river in Europe. Moreover, Don river basin is among Volga basin, Dnieper basin and Oka basin. Don river starts from Novomoskovsk town. It is 60 km of the southeast of Tula or 120 km south of Moscow. From the source, it flows to southeast direction to Voronezh city. Then, it turns to southwest to its mouth to the Sea of Azov. From its source, the river flows for about 1,950 km before discharging to the sea. Don river as the fifth longest river in Europe is one thing, but it still has some more information to discover. There are 4 unknown things about Don river in Russia that most people, besides Russian people, do not know about. What are they? Check this out. It lies at the southeastern part of East European Plain. It is 32 kilometers from Sea of Azov. 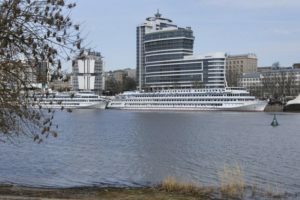 As it lays on one of major rivers in Russia, the society relies their economic development on the river. People use the river for major shipping that connects north with southwestern of Russia. In 1952, Volga-Don canal was built. That makes the city become the port of five seas. Those are Caspian Sea, Sea of Azov, White Sea, Black Sea and Baltic Sea. As it becomes the port of five seas, it also becomes the trading port for Russian, Italian, Turkish and Greek merchants. Some commodities that include in the trading are oils, wheat and wool. Meanwhile, Rostov-on-Don itself is the major producer of sunflowers vegetable oil. The industry contributes to one third of Russia’s supplies of the oil. There are many beautiful architectural building in the city. Some of them are universities, libraries, theaters and museums. 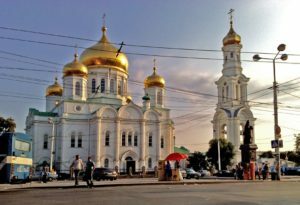 The city is also a home for some famous churches like Pyatiprestolny Trinity Church, Armenian Apostolic Church, Orthodox Church of Great-Martyr Panteleimon, Orthodox Church of Saint Dimitri of Rostov, Orthodox Church of Saint George and Orthodox Church of the Intercession of the Theotokos. Don river does not become the major river in Russia alone. Siverskyi Donets also contributes as its main tributary and makes it big. 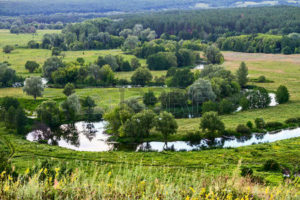 The river’s source is at north of Belgorod, exactly in the Central Russian Upland. It is near Podolkhi village in Prokhorovka area. It flows south and east through Ukraine and then passes through Russia to join Don river at 100 km from the Sea of Azov. In addition to becoming Don river’s main tributary, it is the fourth longest river in Ukraine. It is also the largest river in the Eastern Ukraine. Becoming the biggest in Eastern Ukraine, it becomes the major source of fresh water in the east of the country. The river is 1,053 km long with basin that occupies 98,900 km squares. The width ranges from 30 to 70 m. Besides, its flow is slow. It is between o.15 and 1.41 m/s. Russian Desman also lives near the river, besides living near Volga river. There are also some other mammals that lives in Siverskyi Donets, like marmot, least weasel and European otter. Birds that live in the area include skylark, Demoiselle crane, great reed warbler and white-tailed eagle. You can also read endemic animals living in Caucasus mountain, animals that lives in Siberian Tundra and most dangerous animals in Russia. Don river and surrounding valley contributes to the development of Toronto. 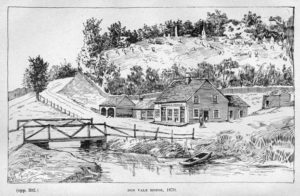 In 1795, the first sawmill was built at Todmorden Mills. Soon, a paper mill and brewery were also built. People used the flow of Don river to power the plants. Following the plants, Canadian Pacific Railway built railways in the late 1800’s. Then, Taylor brothers built Don Valley Brick Works in 1889. The plant produced bricks for building. Don river was not actually straight. The river was straightened in 1800’s to facilitate industrial development in the Port Lands and to allow polluted water to flush into Lake Ontario. Moreover, the Port Lands was the home of one of the largest marshes at the lake. Don river was a place for swimming during the hot summer months. In 1954, Hurricane Hazel causes Don and Humber rivers caused the entire city underwater. Don valley became the place to ski in 1930’s. Not only Volga river, but also Don river can be used as navigation. It is navigable for 842 miles long, starting from Sea of Azov to Liski city. Tsimlyansk project facilitate the navigation at the lower course. However, navigation at the mouth of Don river is hampered due to water level reduction. This occurs due to strong, persistent offshore winds. The obstacle is a bad news as dredging operations are necessary to maintain and improve navigation in the upper reaches. Moreover, people should bring fuel provision as colonies and service stations are scarce for 300 km. In addition to Rostov-na-Donu, Kalach-na-Donu and Tsimlyansk are other largest ports in the river. Those are 4 unknown things about Don river in Russia.